Do you dream of getting married barefoot on the sand? 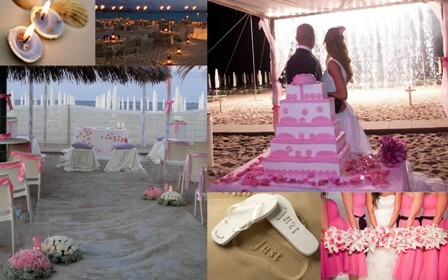 In Italy there are beautiful many white sandy beaches where you can arrange a romantic ceremony . It can be a religious blessing or a civil valid or just an intimate renewal of vows. After the ceremony an informal barbecue party or a magic reception on the beach and dancing until the first light of dawn. Torches ,candles and colorful lanterns will light the night and will be perfect decotation for your beach event.